Box indicated on its blog Thursday that the cloud-storage company has “acquired the technology” for the Folders iOS app enabling users to open many kinds of files on the iPhone (s aapl). The deal marks Box’s third acquisition, closely following on news of the Crocodoc deal. While Box has been taking an industry-by-industry approach to enterprise adoption, the Crocodoc buy showed that Box is also serious about serving up a slick and intuitive consumer-grade user experience for the enterprise. The Folders deal is more proof of that, and offers important capabilities that keep Box competitive as enterprises let employees bring their own devices — many are iOS based — into the workplace. In picking up Folders, Box gets an app that can do a bunch of neat tricks. Files can be copied and deleted. The app can work with the Mail app, upload files to a cloud and download pictures to an iPhone’s Camera Roll. Offline access is available. Users can search and flip through pages of PDFs. The app opens Microsoft (s msft) Office files in full screen. 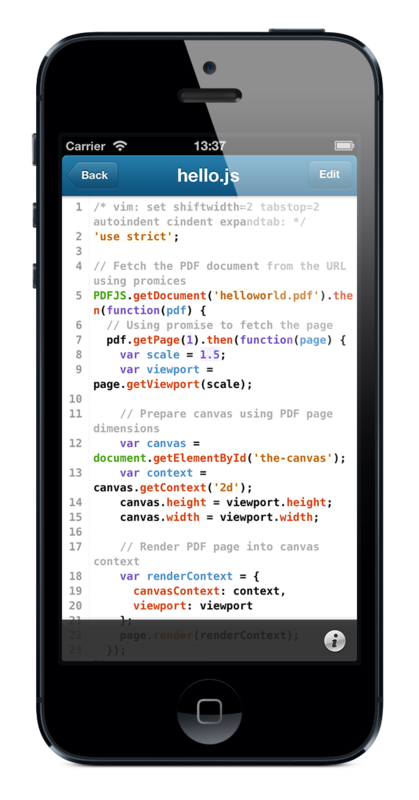 A text editor has support for markdown, and a code viewer lets developers highlight code in preview mode. Users can also search files stored across Box, Dropbox or Google (s goog) Drive. But perhaps this support for multiple clouds could fall away as Folders gets absorbed into Box — Google and Dropbox, after all, are key competitors against Box in the fight to be the Dropbox of the enterprise. The Folders app was designed by Martin Destagnol, the CEO of Reedian. It’s unclear how Reedian will be affected by the acquisition. Even though getting enterprise adoption is important, in day-to-day reality, sometimes it’s the small things that matter to people. If enterprise employees see that they can open certain documents on their mobile phones, they might be less likely to get annoyed. And if employee discontent is minimal, companies could end up sticking with Box instead of flocking to other cloud-storage providers. The Folders deal looks like it will help Box move closer in that direction. This is quite helpful. Gadgets nowadays can really help us. Somehow we say we are in era where technology is still improving, and everyday we use computer and gadgets to help us with our task or work.